I've been working with Great Portland Estates since 2013 on a programme of art commissions in central London. 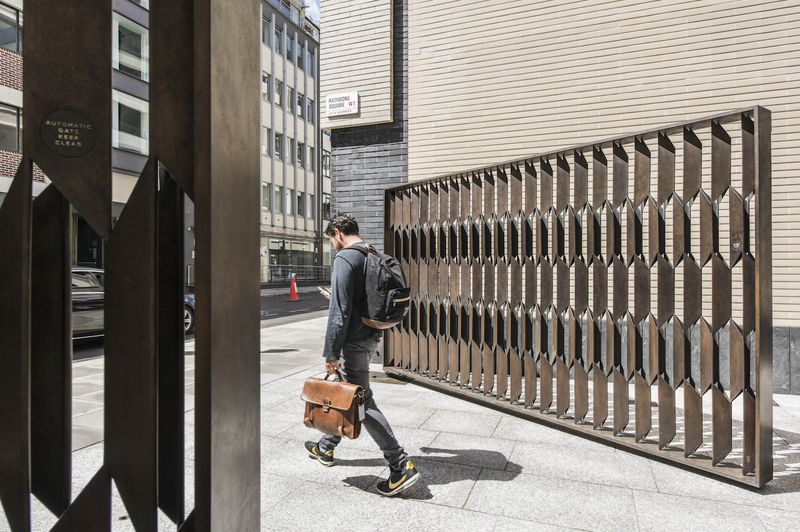 At Rathbone Square, off Oxford Street, we commissioned Alison Wilding and Robert Orchardson to make a drinking fountain and gates for a public garden. 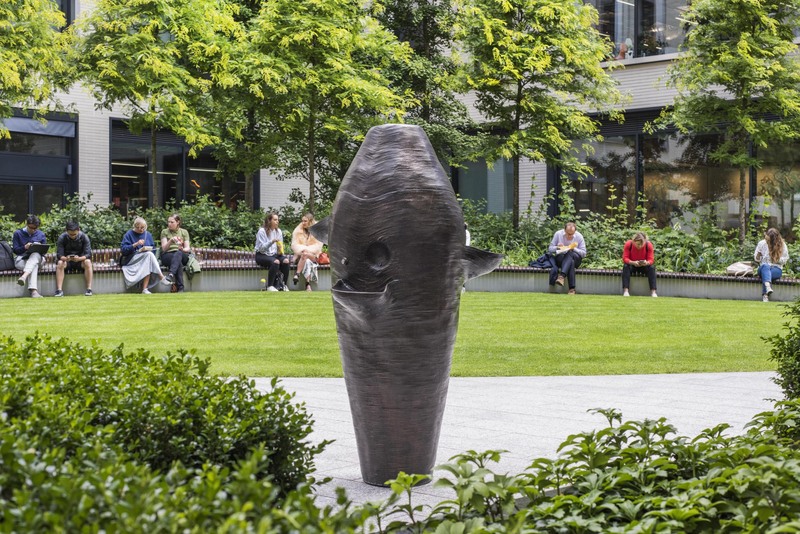 Alison Wilding’s bronze drinking fountain, called ‘Herm’, is a public offering to users of the square. The fountain provides water at different levels to children, adults and people using wheelchairs. A historic spring is located at Rathbone Square which was used by 18th century chemist Henry Cavendish to campaign for access to clean water in the capital. 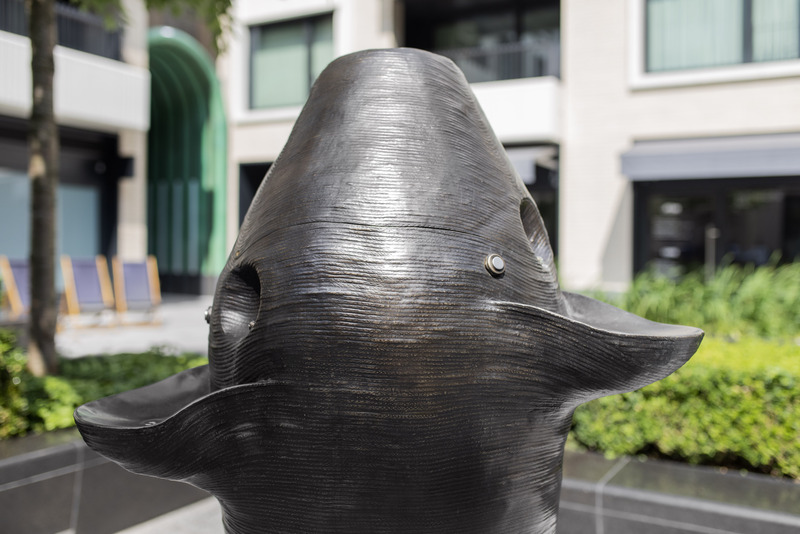 250 years later, Wilding’s drinking fountain is one of a growing number of fountains that have been installed in London to reduce the environmental impact of plastic bottles. 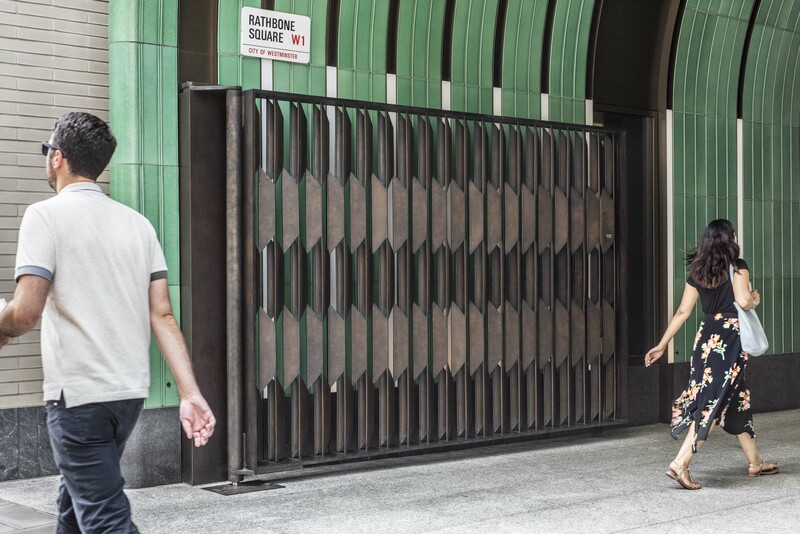 Robert Orchardson's bronze gates are collectively titled ‘Infinite Geometry’ and stem from the artist’s long-held interest in repeated structures that extend towards a vanishing point, articulating infinity through single perspective. 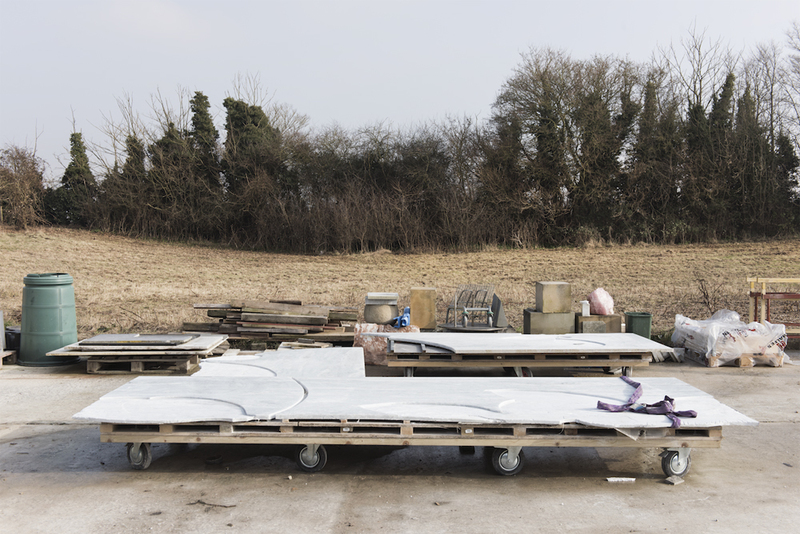 On an adjacent site, on Dean Street, Gary Hume was commissioned to make a work for the facade of a new office and retail building. To be launch later in 2018. 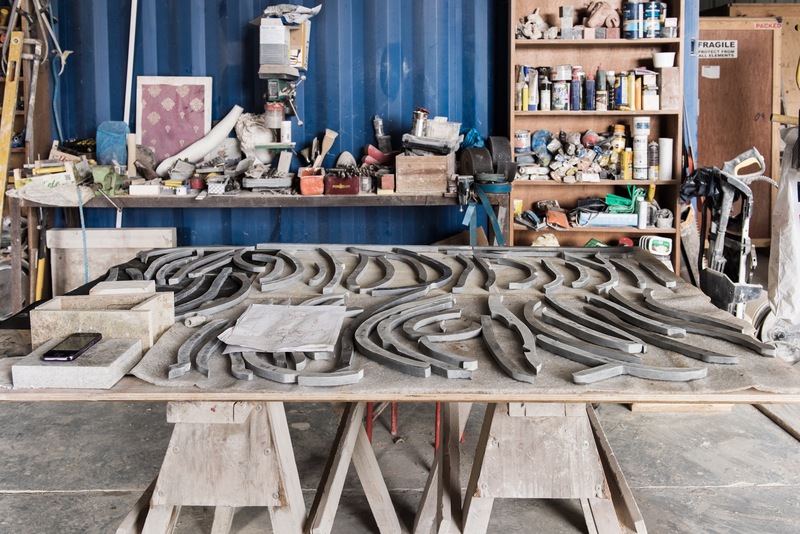 I'm currently working with Rhys Coren on a large-scale commission for Hanover Square, to be realised in 2020.